Last year, a number of major technology companies, such as Amazon and Google, announced drone projects. Before any commercial efforts can begin, we need to implement a safety system to guarantee flying unmanned aircraft don’t collide into buildings, airplanes or one another. Who will build this safety system? The FAA immediately come to mind, but what might surprise you is that the initiative is being driven by NASA. There is hope that the UTM will encourage everyone to contribute ideas and research, creating a combination of commercial innovation and NASA’s own air traffic management research. With so many rotorcraft variations, including DIY drones, it becomes a gargantuan task to survey everything. This collaborative strategy lets partners provide their own vehicles, low altitude radar, radio frequencies, or cellphone towers and NASA gains access to more technology. Creating a safe air space for traditional aircraft and rotorcraft has a number of steep challenges, but collaborators are already working to address them. One collaborator has developed systems that automatically check a UAS’s battery life and surrounding terrain, while another is building a database to keep UAS away from private residences. Other companies have launched prototypes for low altitude tracking and avoidance systems and are using tools that manage fleet operations related to commercial UAS operations. 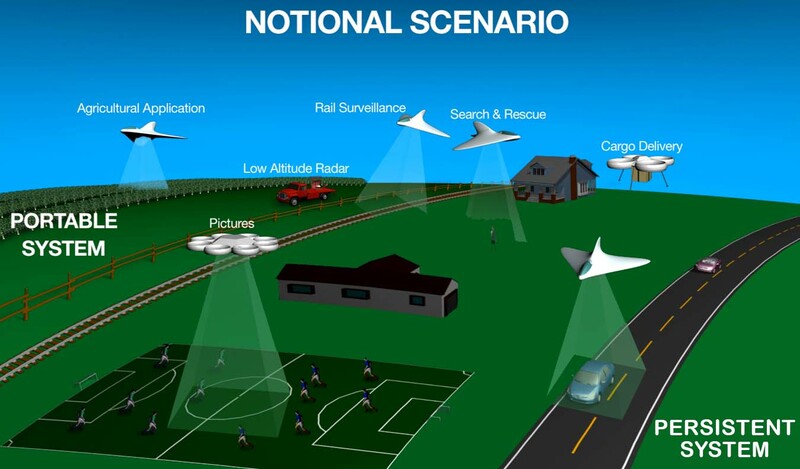 These technologies must meet federal requirements to begin operations as a test bed for an unmanned aircraft traffic management. To date, over 100 organizations, both large and small, are contributing to this worthwhile cause. If you feel like you or your organization can contribute, you may want to check out the upcoming NASA UTM 2015: The Next Era of Aviation conference or you can contact www.info@svc-auvsi.